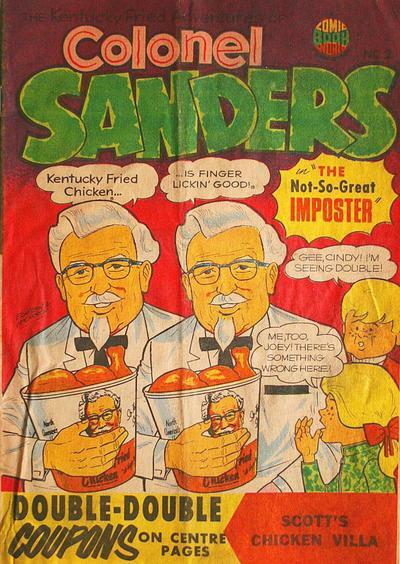 Colonel Sanders was so impressed by McCarron's comics for Ernie Edwards that he ended up commissioning two comics for himself. 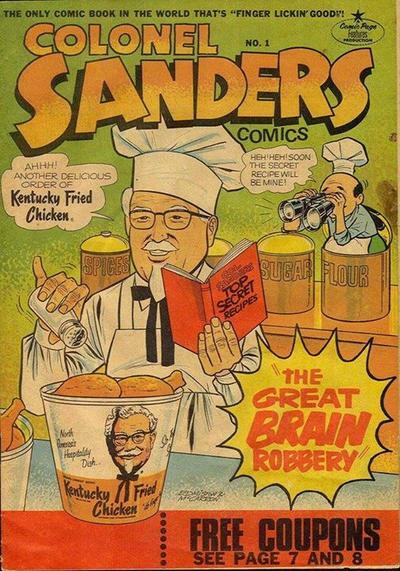 All of these KFC comics are incredibly rare, as they included coupons for KFC. If you find one, make sure that the coupons aren't missing! This thread has been awesome so far!!! Thanks, pal. More to come! 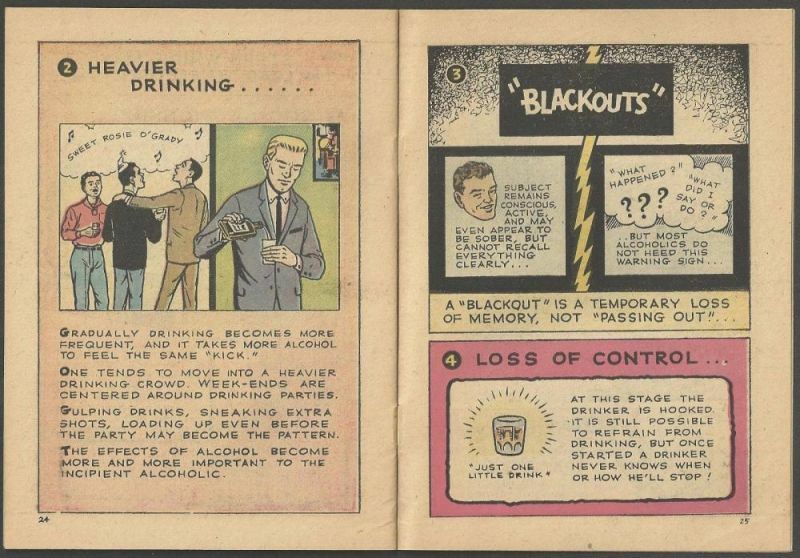 Here is one of the most common of all giveaway comics from the era: "Electric Safety from A to Zap" was given away throughout North America by power companies and even Radio Shack. There are so many variants of this comic from the USA that it's hard to keep track. These were published in 1972 by a group called "Custom Comics." Here are examples from Manitoba Hydro and Ontario Hydro. It is likely that other Canadian variants exist. If you have one, I'd love to see it. 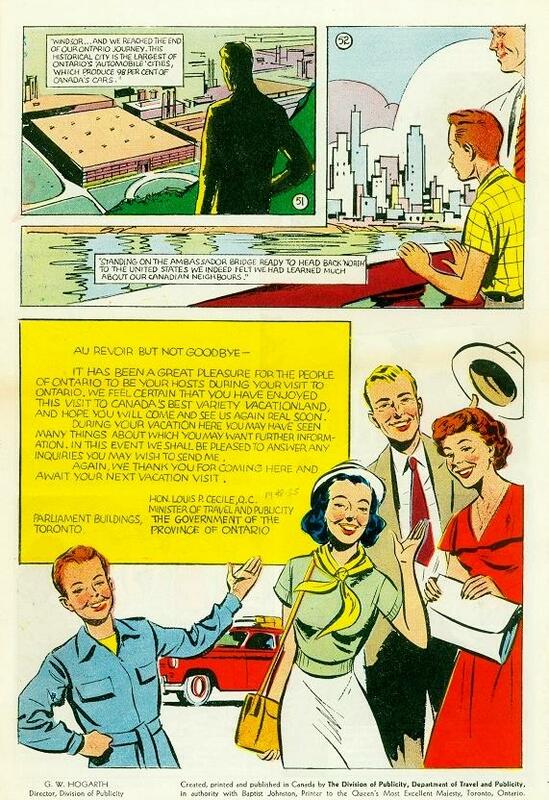 Whereas governments and businesses tended to hire Ganes or McCarron to make comics (if they did not merely re-purpose American giveaways), some interesting one-off giveaways appeared during this era. Here is a particularly obscure comic that was published by the Brotherhood of Railroad Trainmen in 1968. Chances are no one here has seen one of these before. 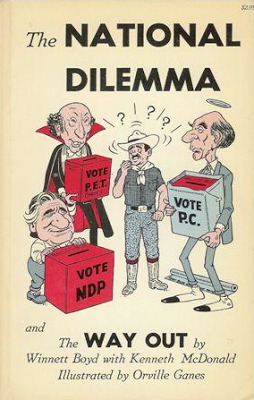 This comic was political in nature and was intended to convince the government and the public to prevent confederating a number of trade unions in Canada at the time. 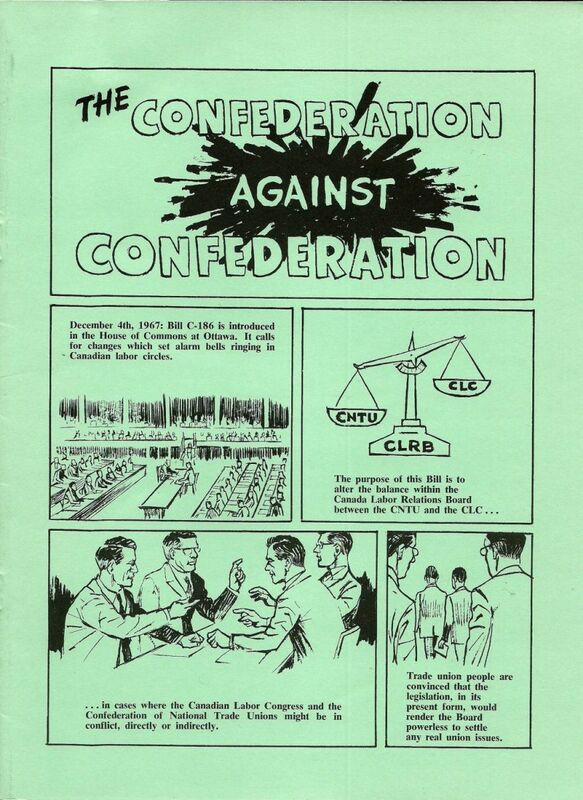 Here is "The Confederation Against Confederation" from my personal collection. I mentioned Malcolm Ater and his Commercial Comics Company in my post about "Where There's Smoke..." Ater's output in the USA was very similar to the work of Ganes in Canada. 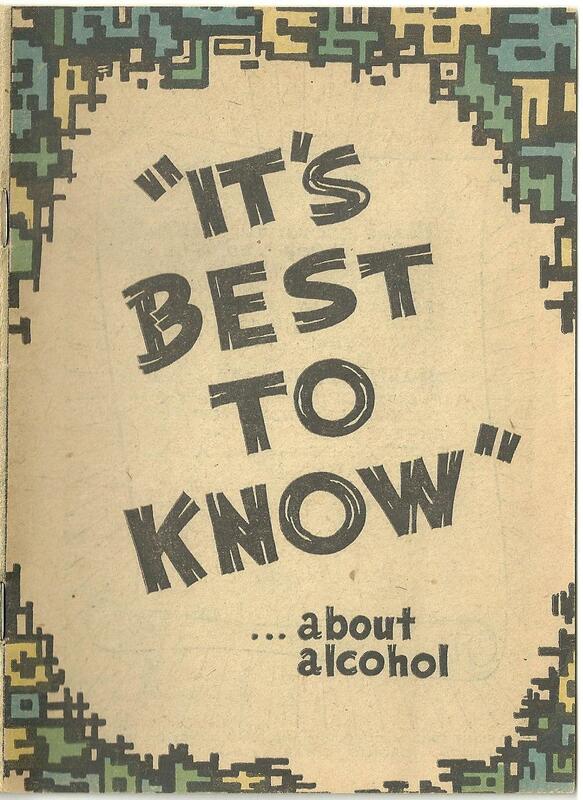 One of the Ater books that caught me off guard is "It's Best to Know…About Alcohol" from 1961. 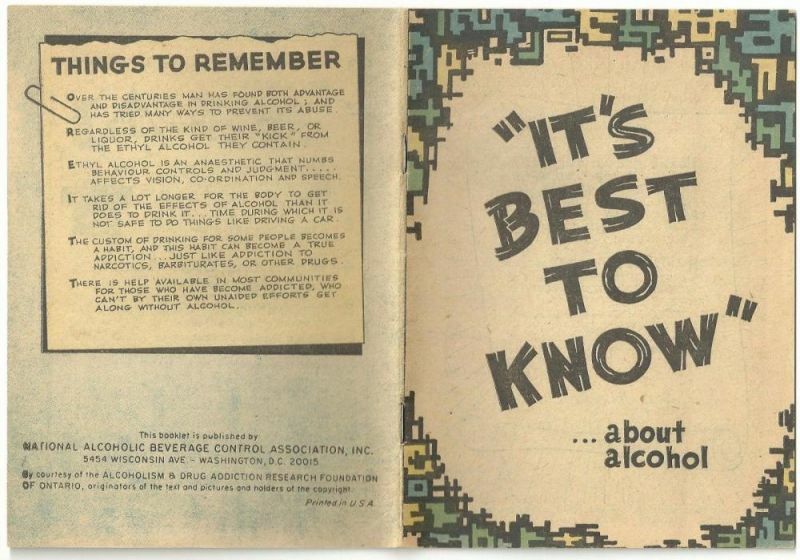 Unlike "Where There's Smoke..." this was actually a collaborative effort from "The Alcohol and Dug Addiction Research Foundation of Ontario" and the "National Alcoholic Beverage Control Association" in the USA. These usually seem to be available on the market, but one sold cheap on eBay a couple of weeks ago. That seller (popculureplanet) actually took the time to post good quality pictures, which I will re-use here. 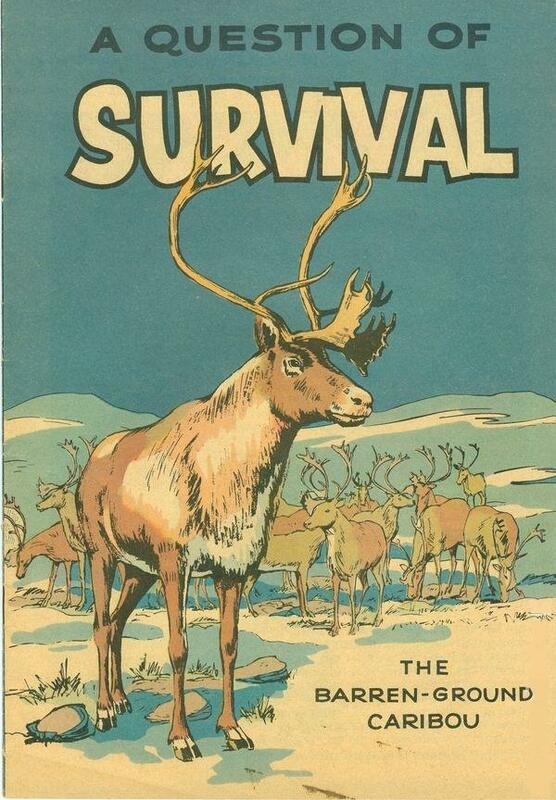 Here's a Canadian giveaway that is from 1965 and was published in conjunction with the "Canadian Wildlife Service, National Parks Branch." I suspect that this is a Ganes book, but without additional information I cannot verify this beyond a reasonable doubt. 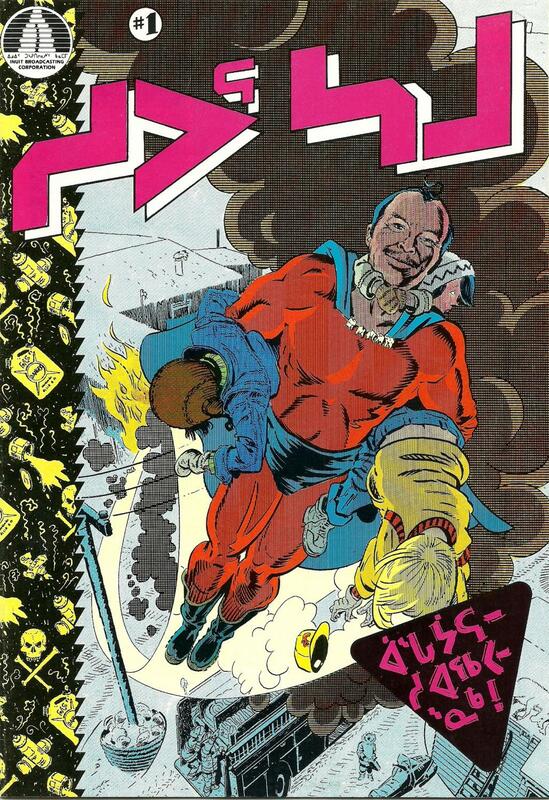 By the early 1970s, Ganes' comic output essentially ceased. He became an outspoken critic of the Pierre Trudeau government and was also highly critical of the Conservative government too. One of the last examples of Ganes' work that I have been able to find comes from this book, "The National Dilemma and the Way Out," published in 1975. Ganes provides the illustrations. 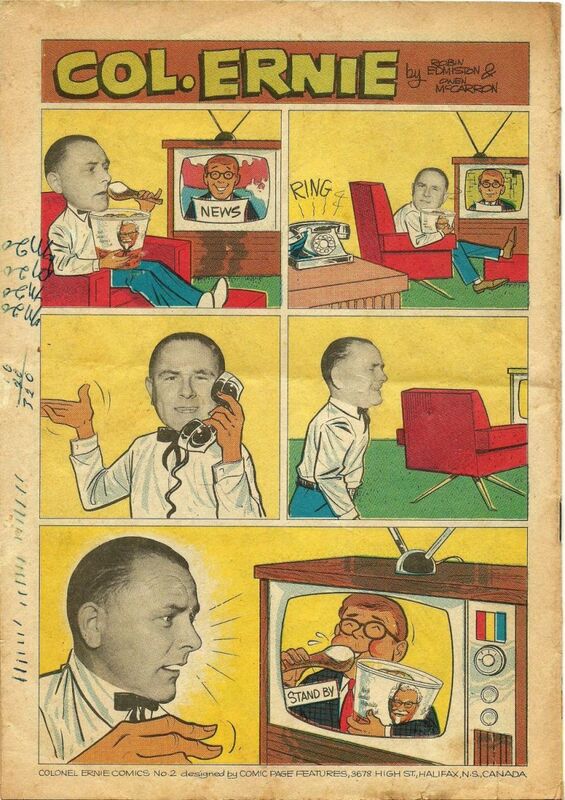 During the 1970s, McCarron and Edmiston became the kings of Canadian giveaway comics. At the same time, there continued to be one-off groups publishing their own giveaways. 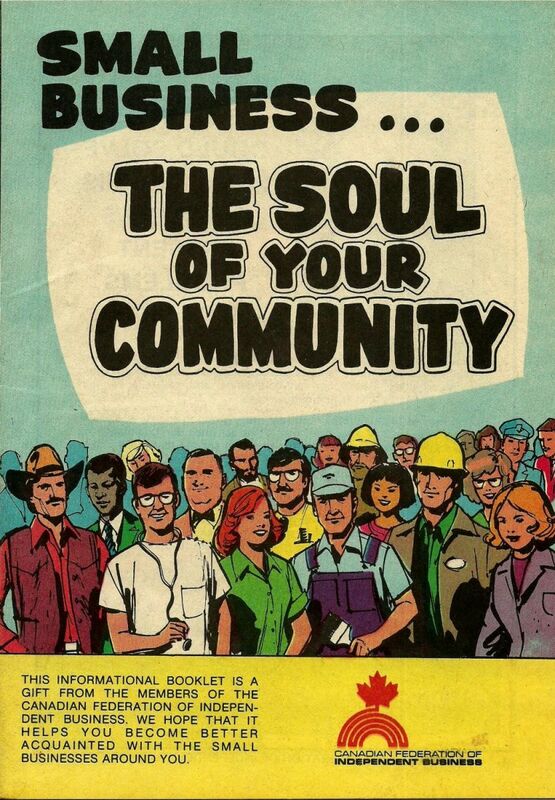 Here is an obscure one from 1979 from Delta Web Graphics called "Small Business...The Soul of Your Community." It was commissioned by The Canadian Federation of Independent Business. This trend continued well into the mid-1980s (which is properly part of the Canadian Silver Age, as defined by John Bell). 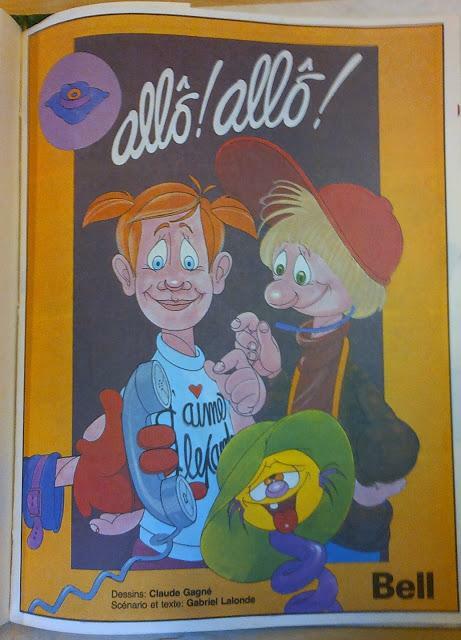 Here is a comic that was published in 1985 by Graphikel Inc. from Quebec. The creators included Claude Gagné, Gabriel Lalonde and Francine Vernac. This comic was published simultaneously in English as "Hello! Hello!" and in French as "Allô! Allô!" 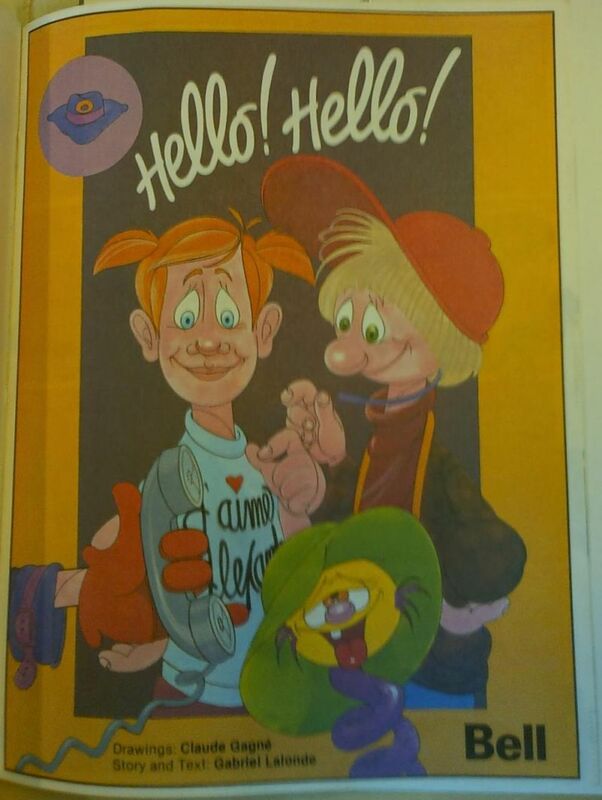 This was a giveaway from Bell Telephones intended to teach children about how to use the technology. Seems a bit dated now! In 1973, the Canadian government commissioned four comics to be given away in the Northwest Territories. 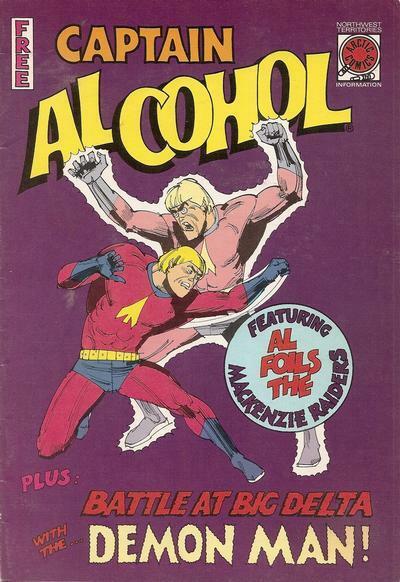 These four comics were published by Arctic Comics and featured the eponymous superhero "Captain Al Cohol" and was provided to Inuit children as a lesson about the horrors of alcohol abuse. The story was by Art Sorensen with art by Phil Clark and Dale Austin. Making it difficult for collectors is that these were generally only available in the Northwest Territories and that the four issues are not individually numbered, which leads to confusion. I recently had a chance to look at all four at Library and Archives Canada and they are impressive books. Here are scans of the first two in the series, as well as a splash page. 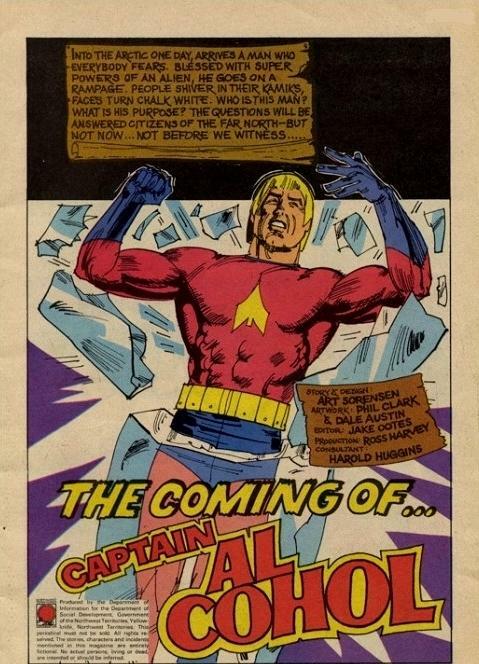 Captain Al Cohol wouldn't be the last superhero designed by the government for the Canadian Territories. 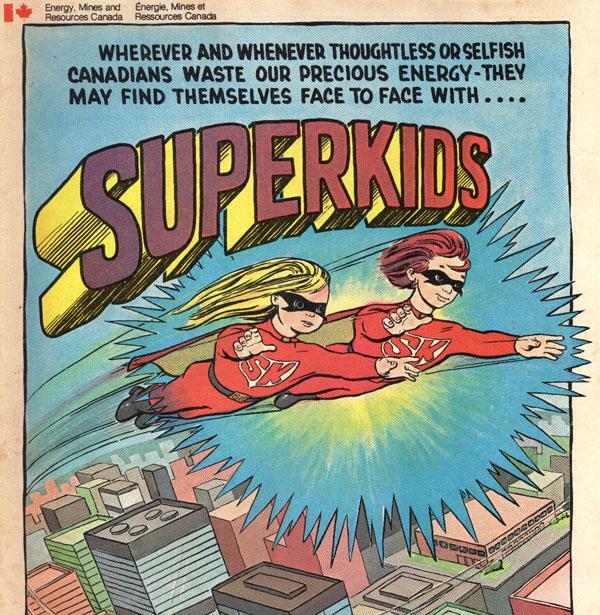 Late in the Canadian Silver Age, the federal government published "Super Shamou" in conjunction with the Inuit Broadcasting Company in 1987. Created by Barney Pattunguyak and Peter Tapati, the comic features the art of Nick Burns, who published several other comic books about the Arctic in the 1980s. Unlike Captain Al Cohol, Super Shamou teaches Inuit children about the dangers of sniffing solvents to get high. This is probably my favourite Canadian giveaway comic. Two versions exist: one in English/Inuktitut and the Other in French/Inuktitut. Half of the comic is in English or French and ends at the centre wrap. Flip over the comic and it is reprinted entirely in Inuktitut. The Inuktitut translation is by Micah Lightstone. Here is the English/Inuktitut version from my personal collection. I was pretty sure that the KFC/Taco Bell on Quinpool was where the Town and Country was located. Thanks for confirming. Since your mother worked for Ernie Edwards, this could be a good opportunity to find some of these books. I own Colonel Sanders # 1 and Colonel Ernie # 2. 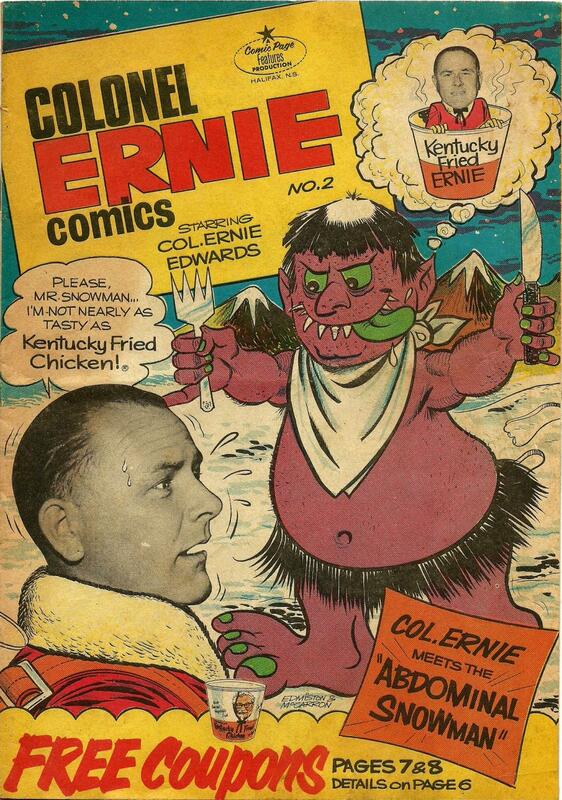 The horrible looking Colonel Sanders # 2 in my post is the only example I have been able to find and I've never seen a Colonel Ernie # 1. Let me know what you find out. 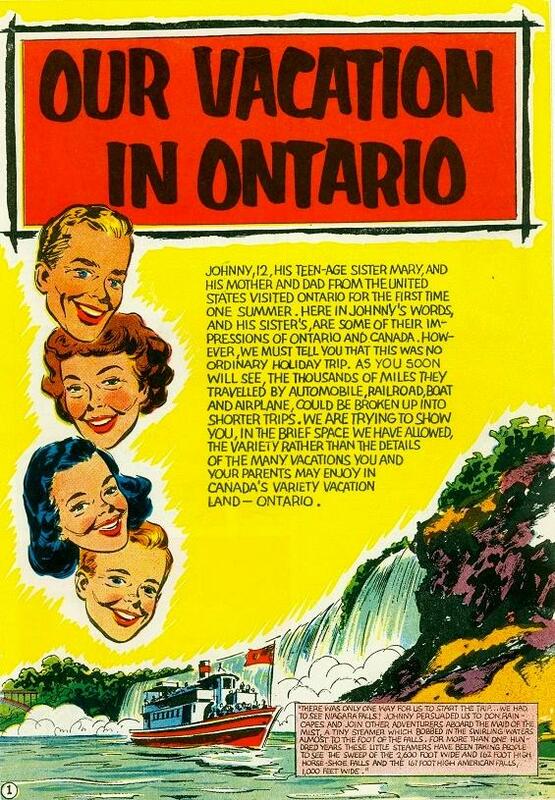 Certainly, there were numerous Canadian giveaways during the Canadian Golden Age, but after the industry collapsed in the mid-1950s with the closure of Canada's last Golden Age comic publisher, Superior, giveaways didn't really disappear. 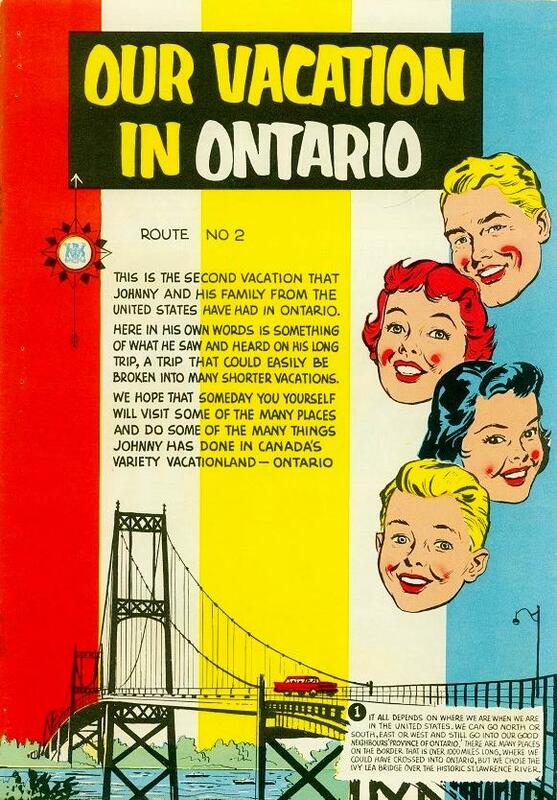 These two "Our Vacation in Ontario" comics are the earliest examples of Canadian giveaway comics that I can identify being published during and after the collapse of the Canadian comic book industry. 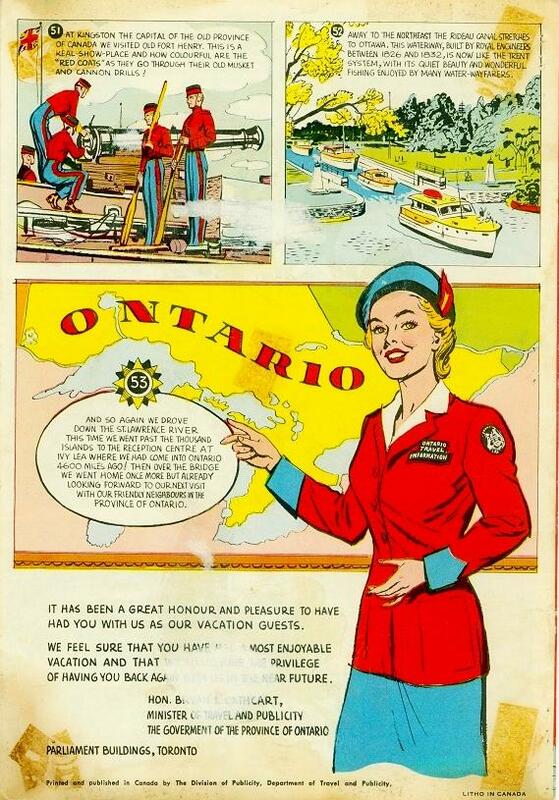 They were published in conjunction with the Government of Ontario's Department of Travel and Publicity. I believe that the first issue was released in either 1955 or 1956 towards the end of Minister Louis-Pierre Cécile's tenure. 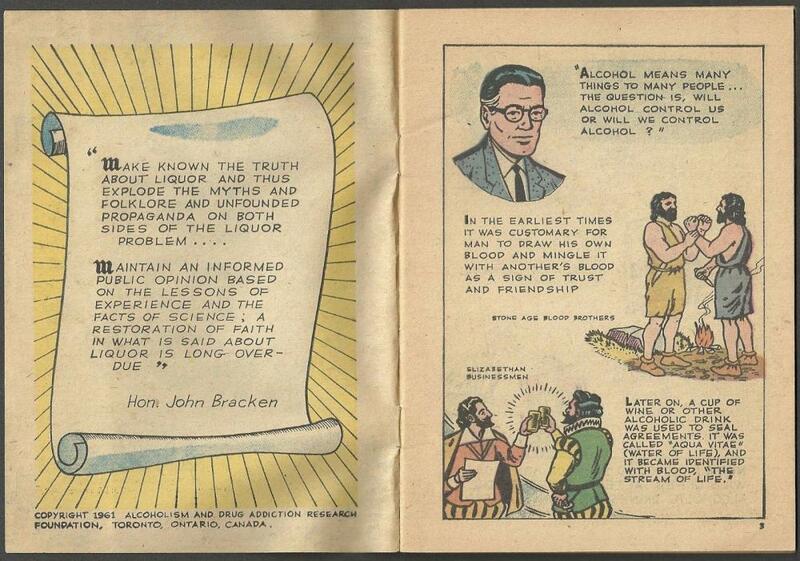 The second issue was released circa 1958 during the tenure of Minister Bryan Cathcart. I have no idea who the artist(s) are. Super Shamou actually had it's own series of television shorts on the Inuit Broadcasting Corporation (IBC) in the late 1980s as part of the television program "Takuyaksat." One of the reasons why I have become so enamoured with the property is that the television shorts are mostly in Inuktitut (with a little bit of English). 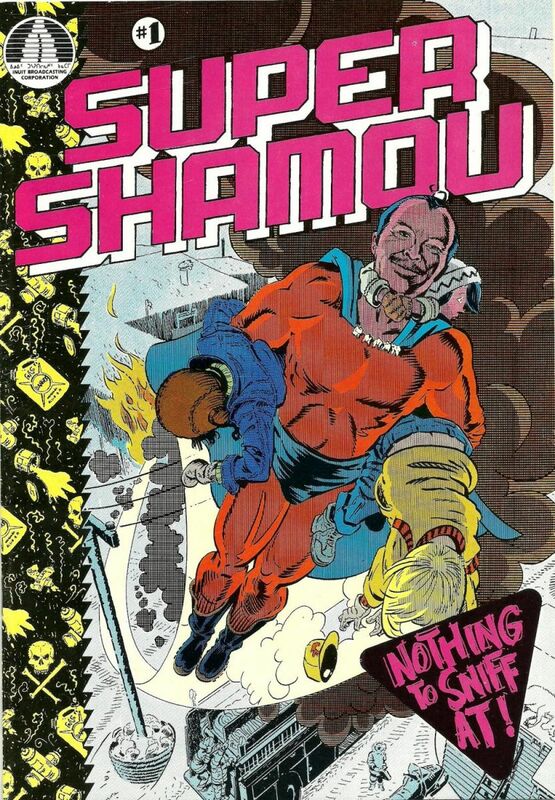 Filmed in and around Baker Lake in what is now Nunavut, Super Shamou was part of the IBC's attempt to maintain cultural autonomy in its broadcasting, rather than allowing the Canadian North to become another market for English television programming. IBC was the first Native language television station in North America and still exists to this day. Here are links to a couple of Super Shamou shorts from "Takuyaksat" starring Peter Tapati in the title role. They are super cheesy! Here are a few and I will give more later. Sorry I can't find the info I have on these books right now.